It’s right around this time of year that this message makes me really think. What does peace mean to our little family? Well, it is not something that I can easily define, that part is certain. Martin Luther King Jr. was certainly right when he said “Hate begets hate, and violence begets violence”, but I don’t think that’s quite all of it. Like any other area of Montessori, peaceful behaviour is something that must be modelled if we hope children to do it. In our house we use the Silence Game when things become chaotic for Quentin. A single candle lit in a dim and quiet room while we sit together and quietly watch it calms him more often than not. We try (and try is the word because we are never perfect) to use calm tones when speaking to each other. Each of us finds peace in our home in their own way, and so I would (and anyone who has been here) call our house for the most part peaceful. We have worked hard to have a peaceful home. For Small Hands has a great selection of Peace, Spirit and Conflict Resolution materials. 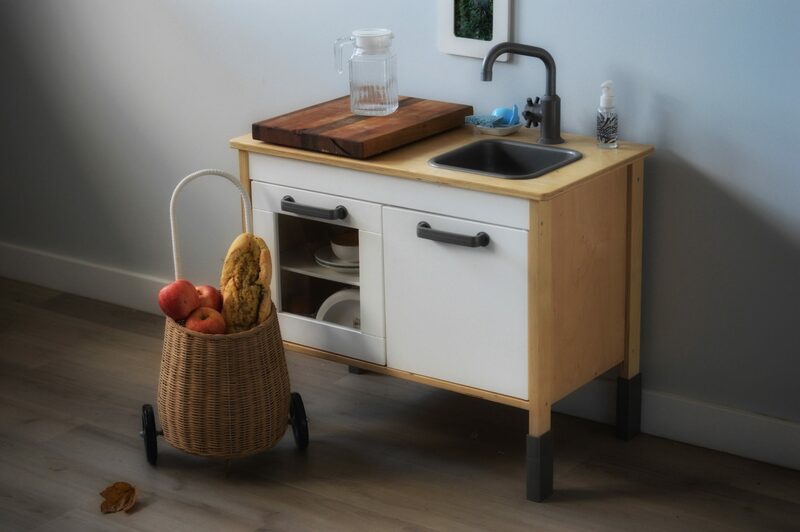 The North American Montessori Centre has a post with some great ideas on making a Peace Basket and encouraging peace in your environment. But that’s only the beginning I think. What about building peace in the world? 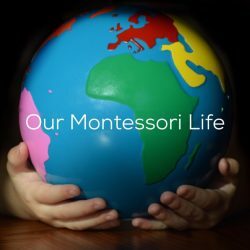 Montessori implores us to build peace in humanity. An impossible task? I don’t know. Today’s world sometimes seems impossible. 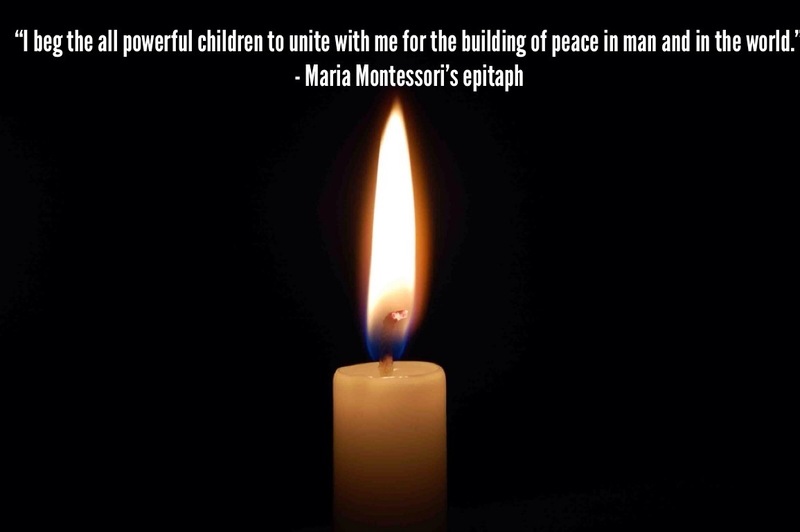 But Montessori lived through and advocated for Peace Education in one of the worlds darkest times. Surely there must be a chance. Perhaps Empathy is a good place to start. Or Understanding. The worlds borders are shrinking smaller and smaller every day. Perhaps our instinct to think of ourselves and our families first gets in the way sometimes of sharing peace with our neighbours or the so often “forgottens” of our communities. What would happen if I shared a small kindness with a stranger? Maybe nothing. But maybe something. I guess I’m not able to answer my own question of what does peace mean to us. I can only start with the basics which for us are love and respect. How can we ensure those things for our children’s children’s lifetime? That’s a much harder one.